For fundraising events I offer a pay-per-face service, charging the kids/adults between $5 and $10 depending on the design they choose. A very generous 60% ($3 to $6) of these charges are donated to the fundraiser with the balance left to cover some expenses and products used. Alternatively, the fundraiser can pay me a discounted hourly rate and offers free face painting at the venue - please call to discuss. Your arrangement can include branding and promotion by a generous sponsor if required. I'm a fast, reliable artist who provides a high quality service per hour (or more) to help you with your fundraising efforts. 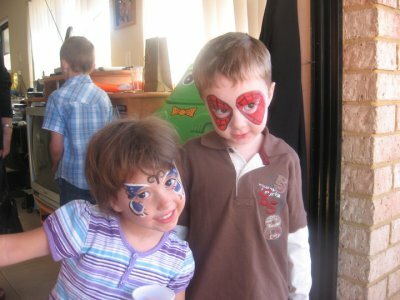 Since face painters aren't at every party Ann-Marina is a hit as soon as she gets there providing added entertainment! Memories are created that last - and are talked about for months. Face painting fairies, clowns, pirates, animals, butterflies etc. Special FX (monsters, vampires, bruises, cuts and blood) for the boys. If you want to add extra children or other themes or designs please get in touch to discuss your requirements. A deposit is required to secure your date and at least seven days notice in advance is helpful. See the Terms and Conditions regarding cancellations or rescheduling. 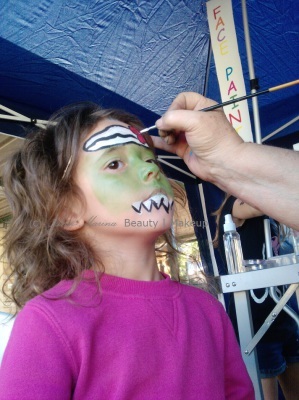 Face Painting is always a huge hit at store openings, shopping centres and special event promotions and with my years of experience and creativity, your customers are in good hands. crowds gather to see what's happening - great for any promotion or event. Keeping customers in-store increases purchasing time for you! product supplier or brand to help offset your costs - all you have to do is book me in. Staff can also be painted to help promote your centre, event or show in a special promotional brand or theme. As they are transformed with the characters or designs you choose, staff love to become involved in their roles and entertain customers for hours. Why choose a Professional Make Up Artist? In recent years there has been an emergence of artist and mums who offer face painting as part of their creative services. Although they are excellent and wonderful artistically, they may not have the knowledge and training of a professional Make up Artist and Beauty therapist as I have. 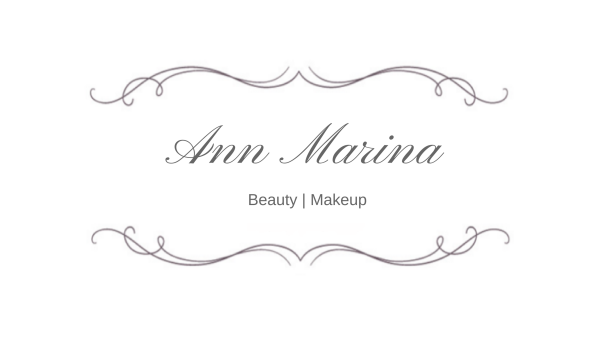 Ann-Marina gives you and your guests peace of mind.